Run an EmpireRun an Empire turns real-world movement into a virtual world. English company Location Games Ltd has just launched Run an Empire in the UK. The game operates in 170 countries, and uses a unique game engine to take real-world data and layer it onto the virtual map. Fitness apps are nothing new: the likes of Strava, MyFitnessPal and Nike+ Run Club have been tracking and motivating millions of people around the world for years. But there is nothing quite like Run an Empire. 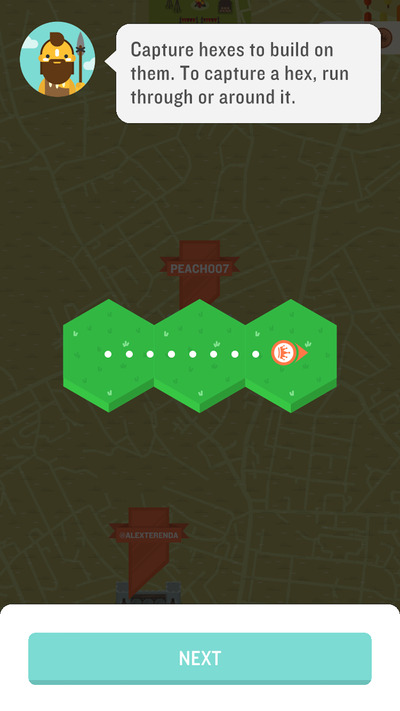 Claiming to be the “Strava for the Game of Thrones crowd,” the game, which launched in the UK earlier this month, turns real-world movement into new territory within the virtual world of the app. 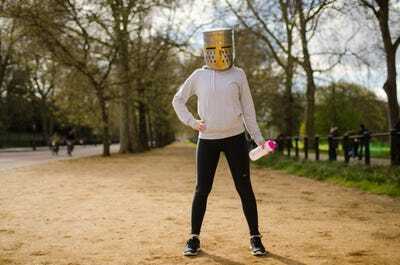 Although it’s aimed at runners of all abilities, it promises to be a hit with beginners and those aspiring to get fit – especially people who find running boring when there’s no incentive or distraction. As someone who enjoys running for the headspace and freedom it affords, I tend to leave technology at the door and was initially sceptical of an app that not only wants to track my every move, but also actively encourages global conquest. A few trial runs later, however, I’m hooked. 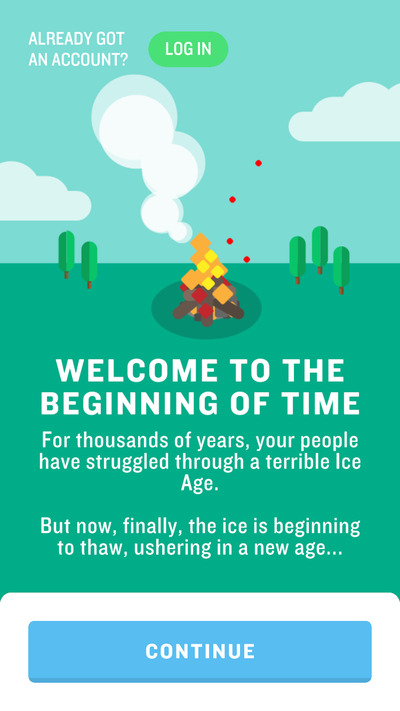 When you first open the app, you’re introduced to the dawn-of-time scenario on which the game is based. After a smiley tribesman trusts you with the not-insignificant responsibility of helping your people advance from the “Dawn Age” to the “Space Age,” the basic premise of the game is explained. 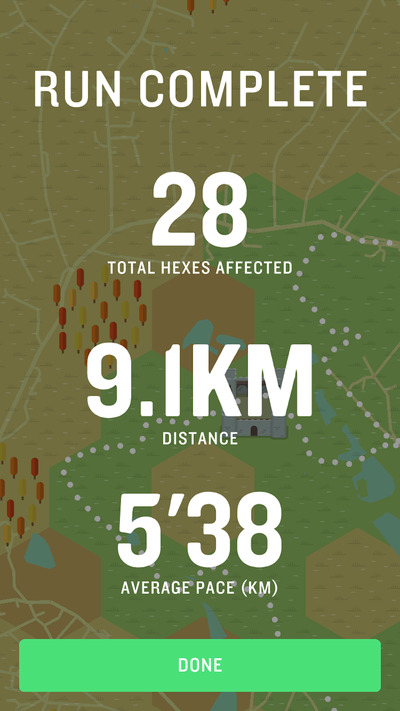 The “hexes” in question are what enable real-world data to be mapped out in the game, as co-founder Ben Barker explained to Business Insider. 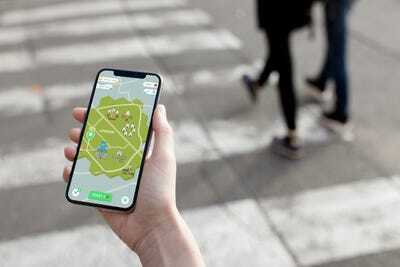 “At its heart, the app uses the GPS built in to every smartphone, and it tracks you as you move, so if someone walks from A to B the GPS is recorded and we then translate that into people’s positioning in the game world,” he said. Running (or walking) to new hexes, and earning in-game currency to build upon them, is what the game’s all about. I can certainly vouch for the app’s motivational merits. On the first day of testing, a short run from my flat in north London morphed into a 10k crusade to lay claim to the mean streets of East Finchley; on my second outing, I was inspired to run a completely new route in order to further expand my Highgate empire. The real beauty of the game, though – and a key advantage it has over other fitness apps – is that speed and distance don’t necessarily earn you more, or better, territory. 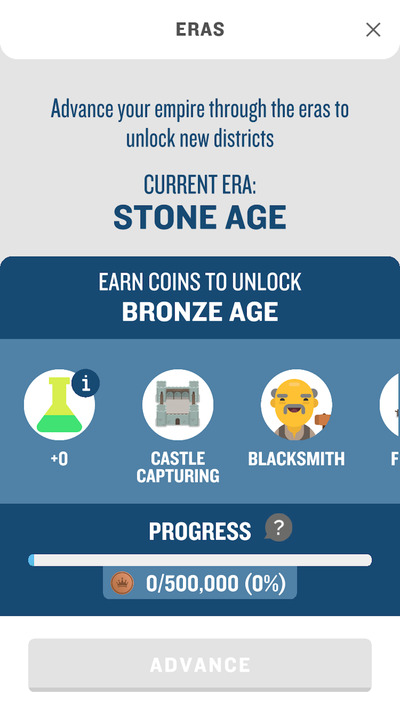 Instead, the emphasis is on consistency: the more you move, the more in-game currency you have to build up your empire. That’s very good news for beginners, or those who simply prefer to run at a more leisurely pace. 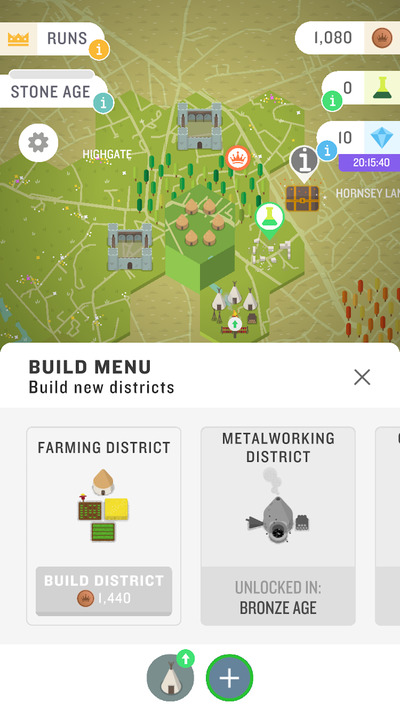 Having just returned from my third empire-building outing, the impressive detail of the app is beginning to shine through. 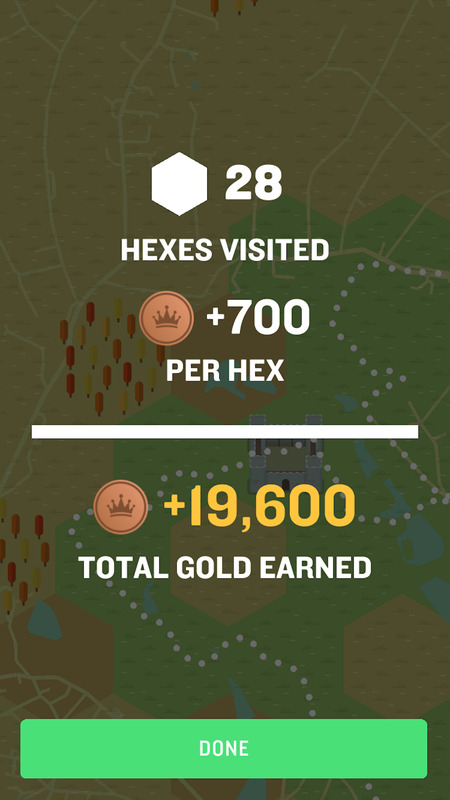 …as well as how many hexes you visited and how much money you earned. 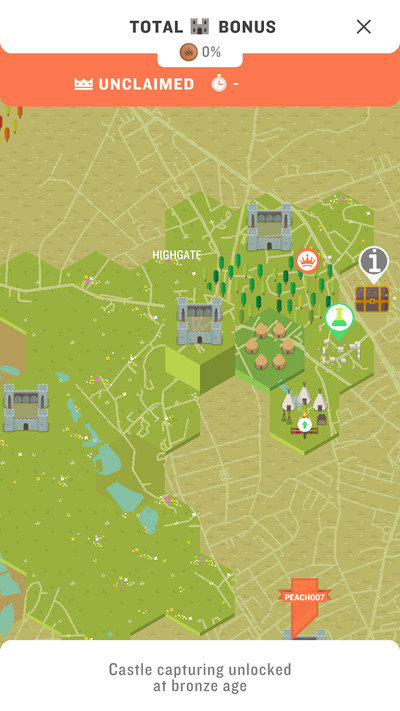 Then, with new territory conquered, your new map is revealed and, depending on the coins you’ve earned and the level you’ve reached, you can begin to customise those hexes as you see fit. …and advance through the ages. With the increasing gamification of fitness, and more and more initiatives to get people moving, the app has hit the market at just the right time. “From a consumer point of view, there’s a strong suggestion – with the success of Zwift and Zombies Run – that there’s a big appetite for this sort of thing,” Barker said. This has led the company to target some ambitious expansion of its own. “In a soft-target sense, we just want to get more people running and keeping fit,” he added.